5 Great Books About The Science Behind Growth Mindset | So You Want To Teach? We hear these buzzwords thrown around a lot in educational circles these days. Why? Because they’re catchy! But what do they mean? The concepts are interrelated, and they stem from a series of recent research projects. 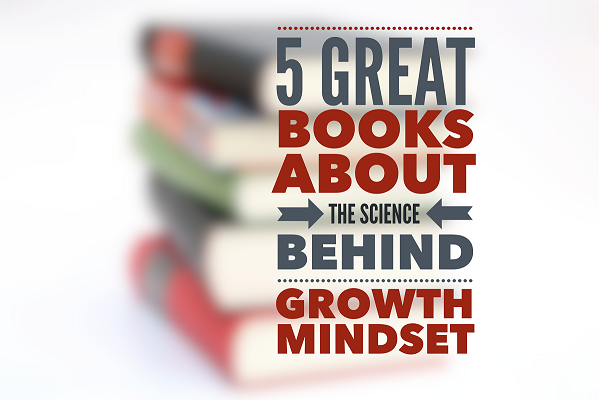 Today we’ll look at a few new books about the science behind growth mindsets. This is the book that initially resparked my interest in this subject. 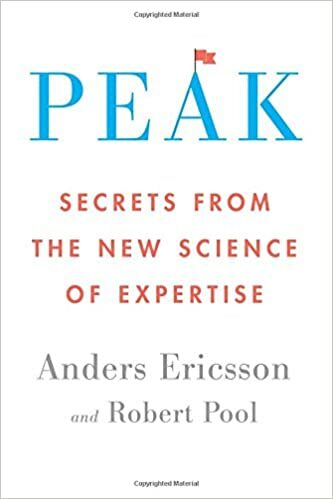 Anders Ericsson was the researcher who studied “deliberate practice” back in the 80s and early 90s. Some of the those studies centered on violin students in a German music conservatory. The analysis concluded that the students who performed the best at the University level, and who would eventually go on to lead careers as soloists or leading some of the world’s finest orchestras, had spent on average 10,000 hours of practice by the time they entered the conservatory. This was a primary source that Malcolm Gladwell used in one chapter from his book Outliers: The Story of Success. In his new book, Ericsson argues that the so-called “10,000 Hour Rule” was a faulty extrapolation of his research data, but that it gained so much momentum because it was a catchy round number. Regardless, it caught on. Beyond that element, the book digs into great detail about London taxi drivers, the talent myth, the U.S. Navy’s Top Gun school, the fascinating art of memorization, the best female chess players in the world, and a litany of other topics. 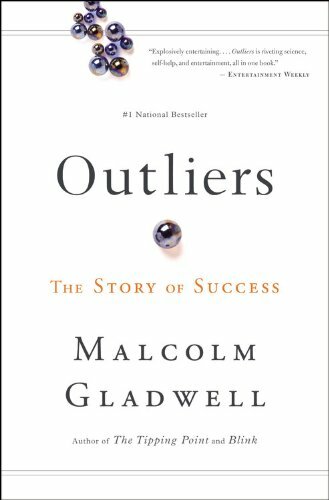 Outliers was the second book that I read by Malcolm Gladwell, and it rocked me. As mentioned before, Outliers is the book that popularized the “10,000 Hour Rule” but it has so much more in it. This was the book that helped me begin to look for hidden reasons behind things. Why are most Canadian professional hockey players born in January, February, and March? Is it a coincidence that Bill Gates and Steve Jobs were both born in 1955? Is there much difference in performance between someone with an IQ of 130 and someone with an IQ of 180? All of these issues are addressed in Outliers. Malcolm Gladwell Rocks. Read Outliers. This book got me through a family road trip to Washington, D.C. one summer. I admit, it’s difficult to read such a dry book while in a moving car, but it sure made the time pass quickly. 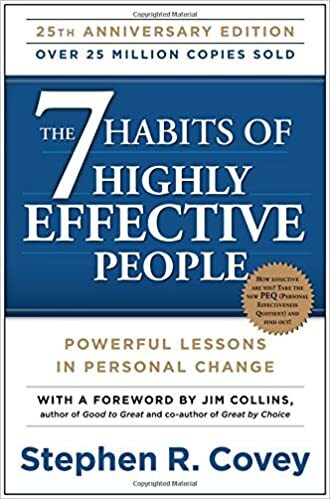 Through the years since reading this book, I frequently find myself returning to the habits and doing a quick rundown of them to sharpen my skills as a teacher and to help identify why problems may be arising. If you’ve been around the business world for any length of time, you have undoubtedly heard references to this book, either directly or indirectly. I know many school administrators model the staff training around Dr. Covey’s methods as well. This is the next book on my list to read (listen to) about the subject. I heard Angela Duckworth on a recent episode of Freakonomics called How to Get More Grit in Your Life. On the podcast, she discussed spelling bee champions, childhood memories of her father constantly telling her “you’re no genuis”, and the downside of grading schools on grit. 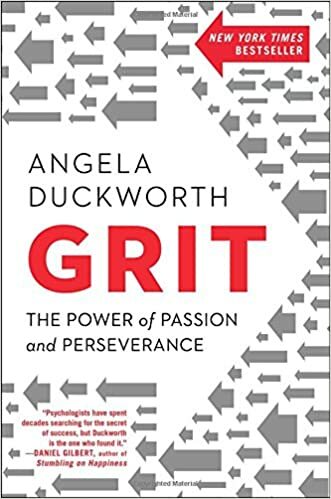 Yeah, even though so many staff development sessions concentrate on increasing rigor and helping our students become “grittier”, and even thought Duckworth spends so much of her energy on convincing people of the efficacy of grit, she acknowledges that the newness of these kinds of studies lends itself to unpredictable measurements. To put it another way, grit and rigor are currently unmeasurable in practical terms. Should we strive for it? Yes. Should we inadequately measure and reward or punish for it? Not at this time. From what I can tell so far, the basic premise is that passion and tenacity far outweigh intelligence or so-called “talent” in success in any endeavor. I have heard so much buzz about this book lately that is has also worked its way into my “must-read” list. 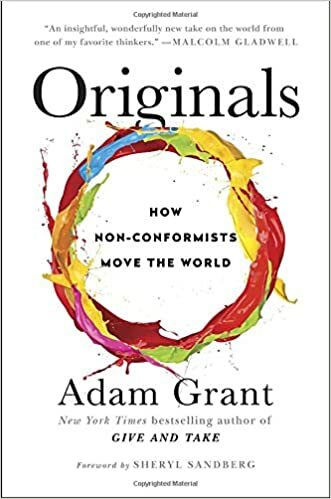 I take solace in my delay though, because I know Adam Grant actually has quite glowing things to say about procrastination in this book. I’ll write more in-depth about this concept later, but as I see it, mastery of any skill has four levels: Understanding, Skill, Craftsmanship, and Artistry. What interests me most is that Peak is about developing the craft, Grit is about developing skill, and Originals is about developing the artform by breaking out of the traditional mold. With examples taken from the civil rights movement, U.S. presidents, Leonardo Da Vinci, and Nobel Prize winners, the books seems varied enough that it will maintain my interest. Awesome collection though..i personally like “outliers story of success” because i myself a private tutor i found so many intersting lessons and articles thats the reason why you have mentioned it on the second place,and i will plan to read the other books too..highly reccomended for all..
Good information.I would like your article.Keep share more articles and pass information.